CBS has the worst upfront week and picks up 5 new shows for fall. CBS was next in line to announce their new fall schedule for the television networks and it includes quite a few new shows with some unusual plots! “Project Gary” is a comedy starring Jay Mohr and Paula Marshall (“Nip/Tuck”) about a recently single painting contractor, and his controlling ex-wife, Allison, who face post-divorce mayhem after 15 years of marriage as they each embark on new relationships. “The Mentalist” brings Simon Baker back to TV as a detective and independent consultant with the California Bureau of Investigation (CBI), who has a remarkable track record for solving serious crimes by using his razor sharp skills of observation. Within the Bureau, Jane is notorious for his blatant lack of protocol and his semi-celebrity past as a psychic medium, whose paranormal abilities he now admits he feigned. Jane’s role in cracking a series of tough high-profile cases is greatly valued by his fellow agents. 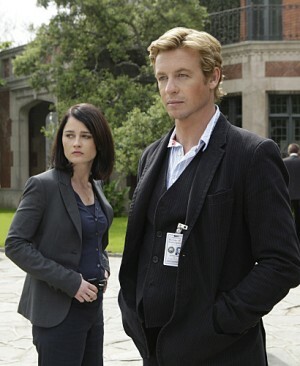 However, no-nonsense Senior Agent Teresa Lisbon (Robin Tunney, “Prison Break”) openly resists having Jane in her unit and alternates between reluctantly acknowledging Jane’s usefulness and blasting him for his theatrics, narcissism and dangerous lack of boundaries. Lisbon’s team includes agents Kimball Cho (Tim Kang, “Rambo”), Wayne Rigsby (Owain Yeoman, “The Nine”), and rookie member Grace Van Pelt (Amanda Righetti, “The O.C.”), who all think Jane’s a loose cannon but admire his charm and knack for clearing cases. “Eleventh Hour” from acclaimed producer Jerry Bruckheimer follows Dr. Jacob Hood (Rufus Sewell, “The Illusionist”), a brilliant biophysicist and special science advisor to the government, as he investigates scientific crises and oddities. His jurisdiction is absolute and Hood is dogged in his pursuit of those who would abuse and misuse scientific discoveries and breakthroughs for their own gain. His passion and crusade is to protect the substance of science from those with nefarious motives. He is called in at the eleventh hour and he represents the last line of defense. “The Ex List” is a dramedy about a single, 30-something, successful business owner (Elizabeth Reaser, “Grey’s Anatomy”) who is surprised to learn from a psychic that she’s already dated her future husband AND there’s a catch: if she doesn’t find him in the next year, she’ll remain alone forever.